Recently, the defence lawyer representing 20 Indigenous people of Biafra (IPOB), granted a brief interview to Chijindu Ukah and Anyikwa Kelechi of Biafra Writers where he made it clear that no charges were officially filed against the defendants at the court. 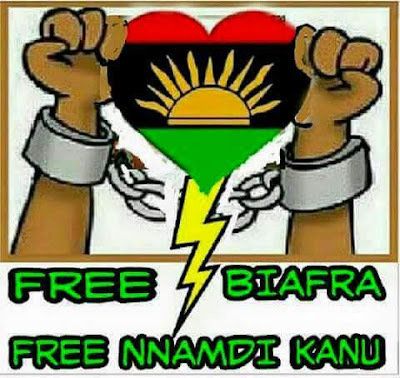 It could be recalled that the 20 defendants were illegally arrested on the 9th of February, 2016, while praying for the release of Mazi Nnamdi Kanu and the restoration of Biafra, at National High School Aba. The lawyer said that since there is no charge against the defendants, they should be released without delay, and also added that the applicants among others were wrongly arraigned at the Chief Magistrate court Umuahia on 10th day of February 2016 even when the police knew that given by the charges they are pressing, the said court has no jurisdiction and accordingly they secured a remand and the applicants have since been in de-facto imprisonment at federal prisons Aba without no effort made by the police to transmit the file to the Director of Public Prosecution(DPP) or the office of the Attorney General of the state as wrongly ordered. BIAFRA WRITERS: You are the defence lawyer representing the 20 IPOB brethren at the federal high court Umuahia, can you tell us the charges leveled against them? ANSWER: There are no formal or competent charges against them. You cannot imprison somebody without charges and trial, no charges before them, no trial, you have to make things clear. They charged them under section 37(1b) of the criminal code; levying war against the president of the Federal Republic of Nigeria. Just like the charge leveled against Nnamdi Kanu; treasonable felony; trying to overthrow the government that is why they are trying them under detention and maybe upon conviction, they sentence them to death. But sadly, the Federal Republic of Nigeria is the complainant in the matter, but they took them to state Magistrate Court which is not a court of competent jurisdiction going by the charge they are claiming, they did not even take them to State High Court. And that was why we went to the Federal High Court; the court that has the competence, and filed an application that they didn’t release them on bail and we also took same to the Attorney General (AG) of the Federation. So no charges were filed in a court of competent jurisdiction What they did was "holding charge" and Nigerian constitution said no, you do not do that? The constitution is the most superior law we have all over the federation. So holding charge is unlawful. How can you just keep someone in prison and trying him to know whether he is guilty or not? BIAFRA WRITERS: When was their case filed before the federal high court, and how long have they been in detention? ANSWER: I filed an application on the 11th day of March 2016 at the Federal High Court to release them on bail pending their proper re-arraignment, because they were not properly arraigned. On the document we have, they were arrested on the 9th and on 10th February, they were taken to Chief Magistrate court, Umuahia where they were ordered to be remanded in prison. Since then, the 20 defendants have been in prison till date. And the charge on the law under which they brought them was section 37(1b) of the criminal code for which they were arraigned which is waging war against the President of the Federal Republic of Nigeria. Ordinarily, they ought not to have taken them to the Magistrate court of the state being that they have no jurisdiction to handle such charge. By section 251 of the constitution, it is only the Federal High Court that has the power under exclusive legislative list. Before you bring somebody under this charge, there must be evidence, there must be something to show that such attempt was made to overthrow or overawe a government. But these people were praying in the field and the police and army invaded their prayer ground and arrested them. BIAFRA WRITERS: What were the basis for which the court refused to grant them bail since their arrest? ANSWER: There is no basis for keeping them there, no basis at all and it is unlawful and unconstitutional. BIAFRA WRITERS: Who are the prosecution team that arraigned them in court? ANSWER: One I. U. KALU (Magistrate), MC Nnanna (DSP), from Zone 9 Umuahia. BIAFRA WRITERS: On the 23rd of June 2016, the case of the accused persons was heard at the Federal High Court, Umuahia, can you briefly explain what transpired in court that day? ANSWER: The judge of the FHC delivered his ruling and he said the application filed on behalf of the person that it did not disclose special circumstances to warrant their release. The special circumstance in law has no limited speculations inasmuch as the court has stated a lot of conviction as special circumstances if you are applying in law in cases that have to do with capital offences. They are limitless. Each case has its own circumstances. There are no charges filed against them, there is no prove of evidence so that also amounts to a special circumstance. There must be something that the court will look at and say this evidence indicts you, you need to go through the trial so that you can explain them, but that was not before the court. In the application I filed, I contested if they are going to detain them pending the formal application of their charges, but the judge went as far as embarrassing and attacking me when I confronted her to read out the application. BIAFRA WRITERS: What are the major challenges you have encountered in this case? ANSWER: I will not say that as a lawyer I have any challenges. I will see it as a group of setbacks guided by law. I will also say that the judge as a human being made some pronouncements that are not legal but that is why we have courts of appeal. BIAFRA WRITERS: What is the way forward for you and your clients? ANSWER: The way forward just like I have told you, I had thought that the Certified True Copy (CTC) of the case proceedings will be given to me to enable me go through and see my grounds of appeal. In the Court of Appeal, I will state that the judge of the lower court erred in law when she held that I did not exhibit a medical certificate to show that all the applicants are sick, or that they are ill or has any medical document to grant them bail so that they can go and receive treatment. BIAFRA WRITERS: So does it mean you cannot go for an appeal without this CTC. ANSWER: I can go if I have the record and known my ground, but now, I need to sight and read the CTC copy so that I can quote from her judgment. As soon as the True Certified Copy gets to me, I will appeal. BIAFRA WRITERS: Thank very much Sir for your time. That will be all for now.